Sadly, I’ve become a Sesame Street character with regards to Scripture. Being a seminary-trained fellow that is very acquainted with the contents of the Bible, it’s an easy (and terribly wrong) leap from being familiar with Scripture to telling yourself that familiarity is the same as purposefully obeying Scripture. Over many years, I was one of those guys who could kinda finish a Scripture quote (get the gist, but not the specific words) and remember the book and chapter (but not the verse). That vague knowledge of Scripture wasn’t the same as having specific truths penetrate and permeate my heart and thinking to the point that they were regularly part of my thinking and decision making processes. In order to both rectify that self-deceiving situation, I’ve been working on something. Instead of writing some long and substantial new post (which is slowly happening), I was going through my dozens of drafts and found a few things that I’ll put up over the next little while; articles that I’ve saved, brief thoughts, etc. For now, I ran across a series of articles on the topic of Divine Guidance, by Philip Jensen. For those of you who don’t know who that is, he’s a great Anglican from Australia who was previously the Dean of Sydney at St Andrew’s Cathedral and Director of the Sydney Diocesan Ministry Training and Development, but now has retired from those positions to simply work with Two Ways Ministries , which is named after the gospel presentation he wrote; Two Ways To Live. Philip Jensen devised Two Ways To Live in 1978 and also wrote a series of Bible Studies/Discipleship tools called Just For Starters. Definitely tools you should check out. In fact, if you or your church is looking for curriculum or discipleship resources on anything and haven’t checked out Matthias Media (Philip’s Australian publishing house), you really need to. They have a wealth of solid resources that far too many people in North America are unaware of. But enough of me promoting Matthias Media. Boy oh boy. It’s been 16 months since I last posted on here. At that time, I was driving truck for a nursery and working 12-16 hour days while studying for my LSAT’s and attempting to get into law school. Life was rather nuts and I wasn’t doing it that well…and then things got *actually* crazy. 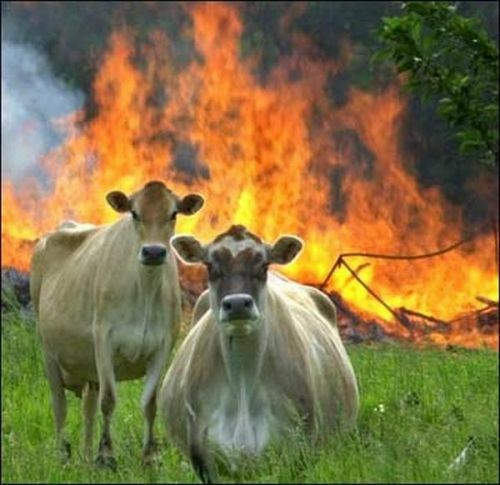 I’m not going to get into details about how my life has become a field, strewn with flaming cow pies from the Devil’s own satanic herd. c. The people who need to know already know. A few years ago, I was teaching a class on hermeneutics while I was struggling through my antiviral therapy for Hepatitis C. In that class, we would spend part of the class going through the hermeneutical rules we had learned and attempt to apply them to difficult texts. It was a very enjoyable exercise for most, and one of the difficult texts we tackled was 1 Corinthians 11:2-16. I’ve recently been asked about 1 Corinthians 11 and the issue of head covering, and that question comes up regularly for me. Knowing that convictions on an issue come through personally working through the Scripture instead of having someone spoon-feed you an answer, I wanted to provide my bible study on 1 Corinthians 11 for the benefit of a few readers. The text upon which the study is based is ESV. No flippies. Scripture interprets Scripture, sure, but the main focus of the way I study the Bible is to draw meaning from the text at hand. That means no flipping to other chapters, unless you’re told otherwise. Most Christians love to toss out the “Scripture interprets Scripture” line, but in practice it becomes an excuse for what I call “concordant exegesis”: using a concordance to interpret the text rather than the nouns and verbs in their various ascending circles of context (sentence, paragraph, pericope, logical argument, book, testament, theology, history, geography). One should never use one verse to “interpret” another just because they share a common term in an English translation. Dragging the meaning of terms from one passage, in an entirely different context, into another, is a guaranteed way to misunderstand whatever text is currently in front of your eyes. It’s a horrible interpretive habit that has become sanctified simply because it’s common. Dig here. Most of the questions are actually as simple as they seem. In my Bible studies, I try to “go deep”, which means I go deep into what the author wrote in this text. That means getting the surface reading right: the terms, the grammar, and the argument/example/principle being put forward. If you miss that but find a whole bunch of cool speculative intertextual or typological connections, you’ve ultimately missed the meaning of the text. When that happens, your Bible Study becomes the exegetical equivalent of all icing and no cake. It might sound great at first, but around 4 pounds into a 9 pound pail of chocolate buttercreme icing, you’ll have an involuntary change of heart (and stomach). Believe me, I’ve tried…and painfully lost a bet in the process. Harder questions are marked. An asterisk (*) question is a “think a little more about this” question. That’s my indication that the question is not a surface level question.